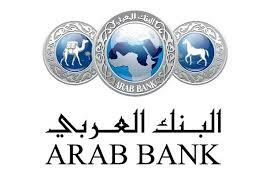 The United States Supreme Court has agreed to accept the Certiorari petition filed in one of the Arab Bank cases. Originally, a US District Court in New York held that the Arab Bank, a Jordan-based financial institution, violated the Alien Tort statute, by providing material financial support to Palestinian terrorists, who killed and wounded individuals in the Middle East, between 1995 and 2005. The bank paid the next of kin of terrorists who died during attacks upon unarmed civilians, which has encouraged subsequent terrorist acts in Israel, including the wounding and killing of Americans who were in Israel, or in the West Bank (Judea & Samaria). The bank's conduct, during the decade-long litigation, was dilatory and abysmal. The landmark decision appeared to open the door to litigation, in US courts, by victims of terrorism, against banks who assisted terrorist organizations. The Second Circuit Court of Appeals reversed the trial court ruling, holding that the statute was only applicable to individuals, not corporations, but its decision appears to be in conflict with those of other Federal Appellate Circuits. The fact that the US Supreme Court has agreed to hear the case means that at least some of the justices believe that they need to consider the issue, to resolve whether there is corporate liability, for terrorism, under the Alien Tort statute.